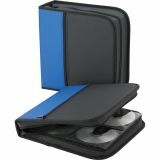 Compucessory CD/DVD Zippered Wallet - Durable neoprene wallets hold up to 128 CDs/DVDs. Premium sleeves protect your CDs or DVDs. 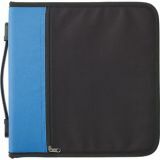 Zippered closure secures your CDs/DVDs during transport.